Embark on a once in a lifetime experience and the only one of its kind in Laos. After coming to us from a logging camp in western Laos, our 10-month old baby elephant nicknamed “Kit” has become a key part of our vision for the future. This young elephant is being trained using positive reinforcement and loving care — this is in sharp contrast to the traditional “breaking” process of physical abuse and fear — and the separation of young elephants from their mothers. We invite you to learn about this new training process largely pioneered by Prasop Tipprasert in hope that these techniques will be adopted throughout the region and in other elephant-inhabited countries. 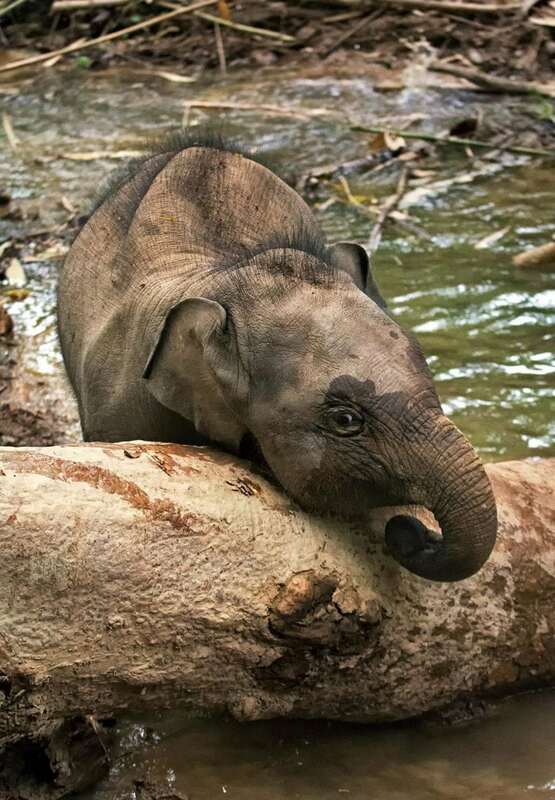 You will have an intimate and exclusive opportunity to get to know this baby elephant while hiking up a cool mountain stream in the jungles of Laos. 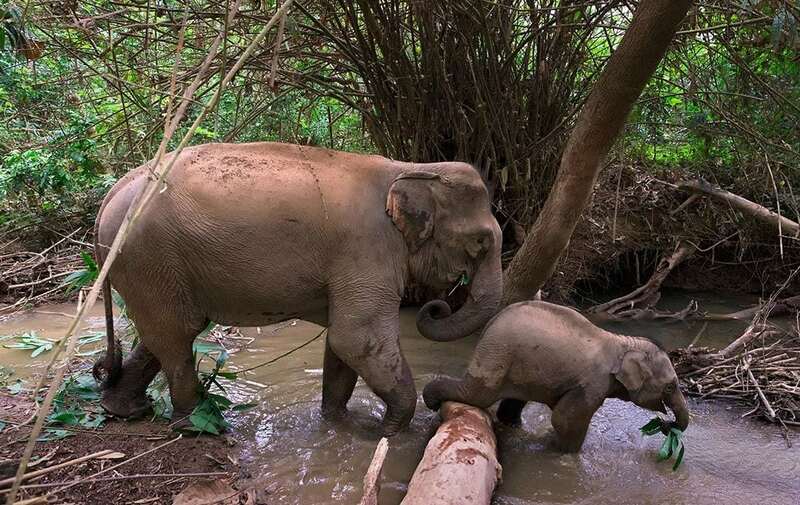 This is a unique chance to participate in something entirely new with a potential to change the future of elephant welfare in Laos and in other elephant-inhabited countries. Includes : Lunch, transport, snacks (for you and the elephants), and drinks. After picking you up from town or your hotel we will leave Luang Prabang for the nearby village of Xieng Lom. Upon arrival you are invited to have coffee or tea as your guide for the day provides an in-depth introduction to elephant behavior and the ways we should interact with them. 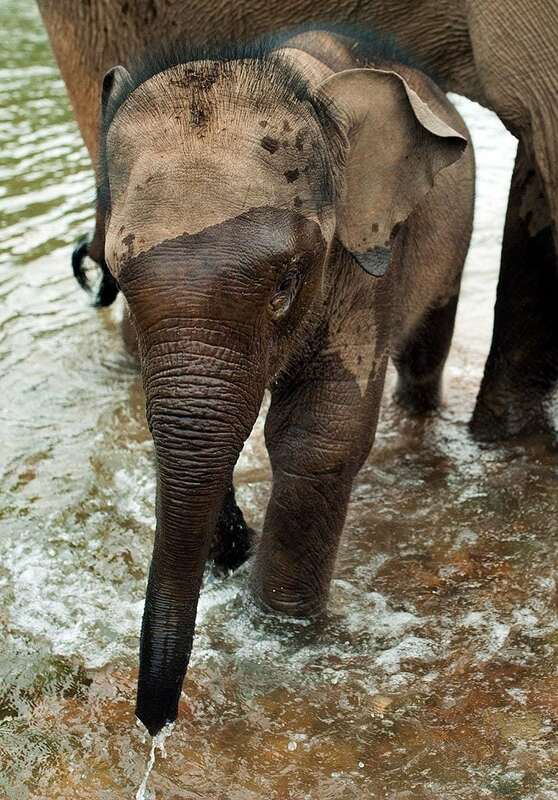 A quick boat ride across the Nam Khan River will deliver you to the waiting elephants. You will be introduced to your new friends and feed them some special treats—a sure way to begin an instant friendship. 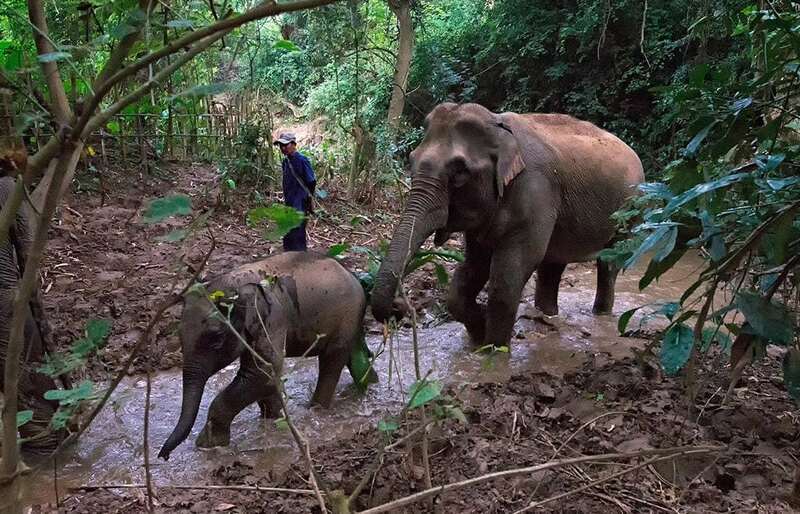 Just following, you will begin walking with your new gigantic companions and the baby boy through the jungles of Laos. The Trek follows a small path past traditional Lao farms, through beautiful Lao forests and into the jungle-covered Huay Nok stream. As you walk alongside the elephants and crisscross through the cool water you will experience a profound sense of understanding, respect, and caring for these amazing animals. As you prepare to start your walk back to MandaLao, you will bid farewell to your new friends with a few more hugs and moments to say goodbye. When you get back to MandaLao, you will head to the restaurant and enjoy a delicious fresh Lao meal made from our own organically grown produce. There you can relax, kick-back, and process the day’s experiences on the veranda overlooking the river and misty mountains. Following lunch you will take the short ride back into Luang Prabang and have one more chance to ask your guides any lingering questions. You will arrive back by approximately 1:00pm. Following elephants through the jungle can be a messy endeavor. We recommend wearing clothes that you don’t mind getting wet and muddy. While you will likely wade through streams for some part of the tour, there’s no need for a bathing suit. Also, a sun hat can help in the tropical heat – and a camera and a smile don’t hurt, as well! We provide optional footwear (rubber shoes/knee-high boots) for guests that are designed specifically for muddy and slippery conditions; ponchos and umbrellas are available; and water, sunscreen and bug spray. Lunch is included on most tours.